“Last April I competed at the world championship rally Tour de Corse, nicknamed the ‘Rally of the Ten Thousand Corners’. But Rally of India is even more exhausting, it should be named the ‘Rally of the Million Corners’ at least”, laughed India newbie Ole Christian Veiby after the recce of the final round of the 2017 FIA Asia-Pacific Rally Championship (APRC). 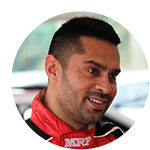 His challenge was clear already before the start: He had to score seven points more than his MRF ŠKODA teammate Gaurav Gill, who came as championship leader to his home rally. “This rally is really difficult. 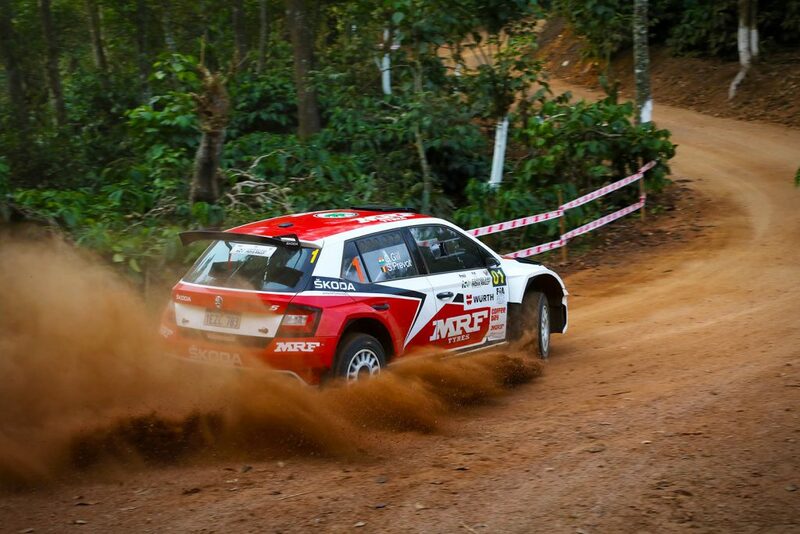 If you brake a little bit too late before any corner, game could be over”, admitted the reigning APRC Champion. In front of more than ten thousand enthusiastic rally fans on the first show stage at the Amber Valley Residential School, the battle for victory and championship honours started. 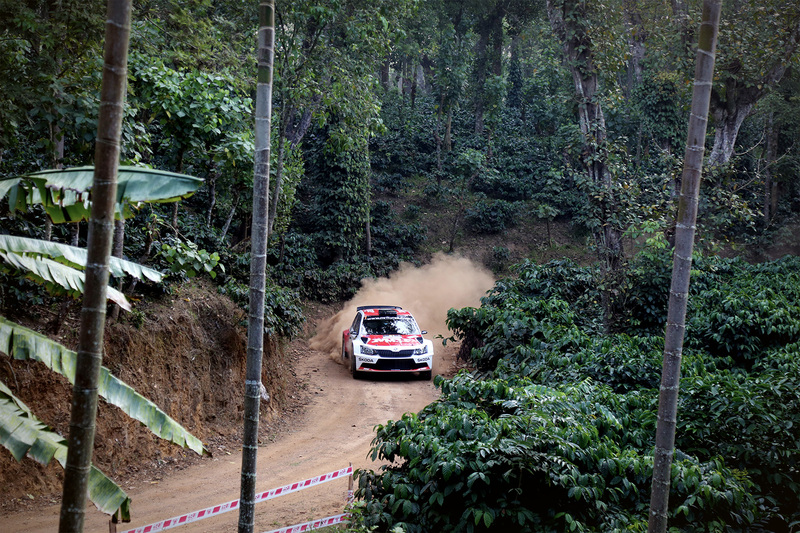 Gill was faster than Veiby by the little margin of 0.2 seconds, all seemed to be set for a tense fight in the Indian forests. 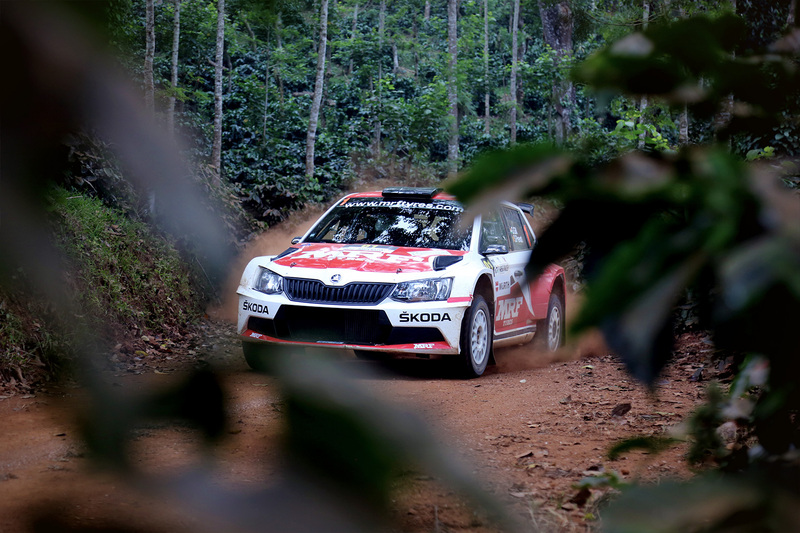 Unfortunately all hopes for an epic fight between the two MRF ŠKODA teammates were gone as soon as the rally turned to the coffee plantations around Chikmagalur in the Southwest of India. During the second special stage Ole Christian Veiby and co-driver Stig Rune Skjærmoen were slowed down by a gearbox issue. 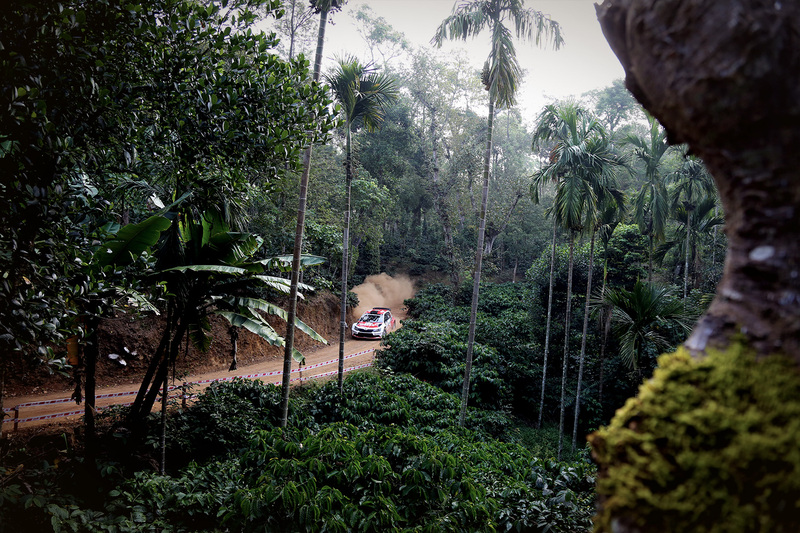 Coffee tasted bitter for Veiby, who had to complete six more stages with a gearbox finally providing only third gear. “On the second stage, I suddenly heard a strange noise and lost front wheel drive. 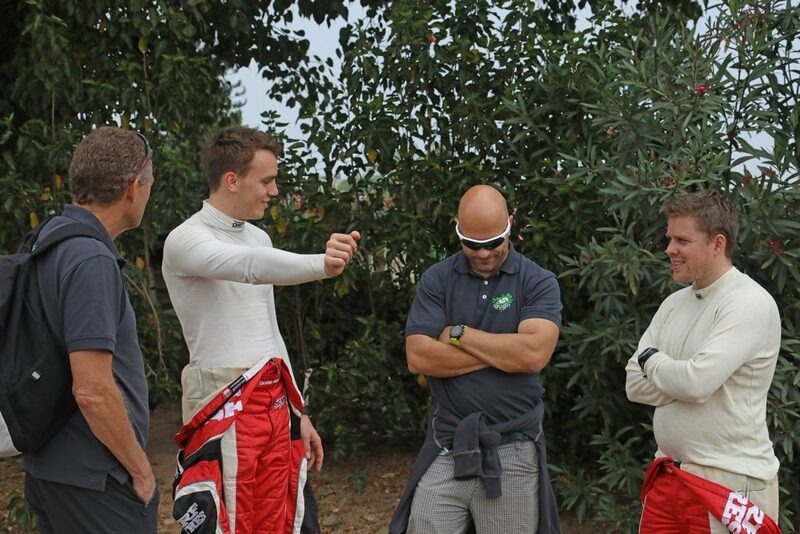 A little later the gearbox was stuck in third gear, my co-driver Stig had to use the handbrake while I kept the gear lever in position. We spun several times and because we had no reverse gear left, we could only go on with the help of the spectators pushing us back into the right direction,” recalled an exhausted Veiby. 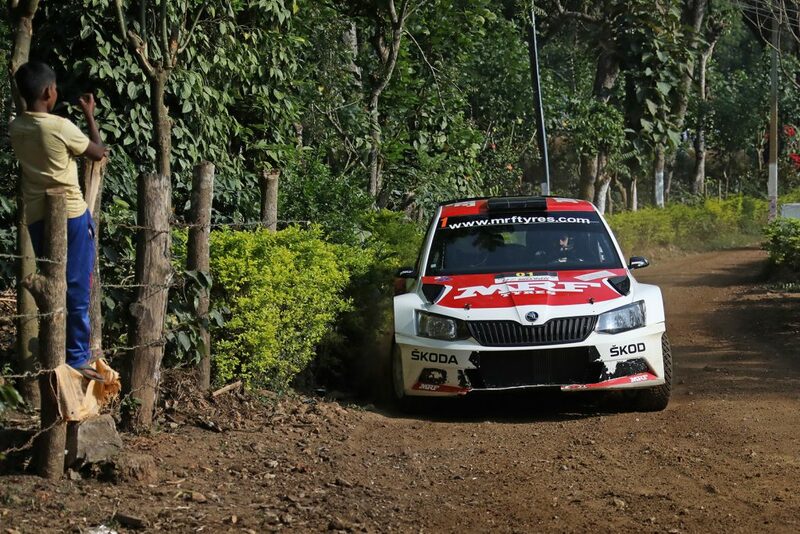 Thanks to the robustness of his ŠKODA FABIA R5, he could make it to the midday service in Chikmagalur. 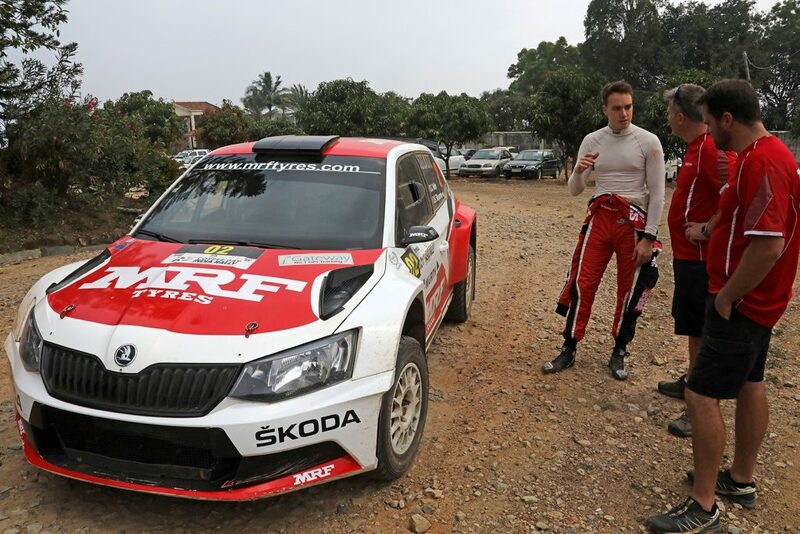 The mechanics of Team MRF ŠKODA demonstrated their class by changing the gearbox and the clutch in around 20 minutes, keeping Veiby in the rally. 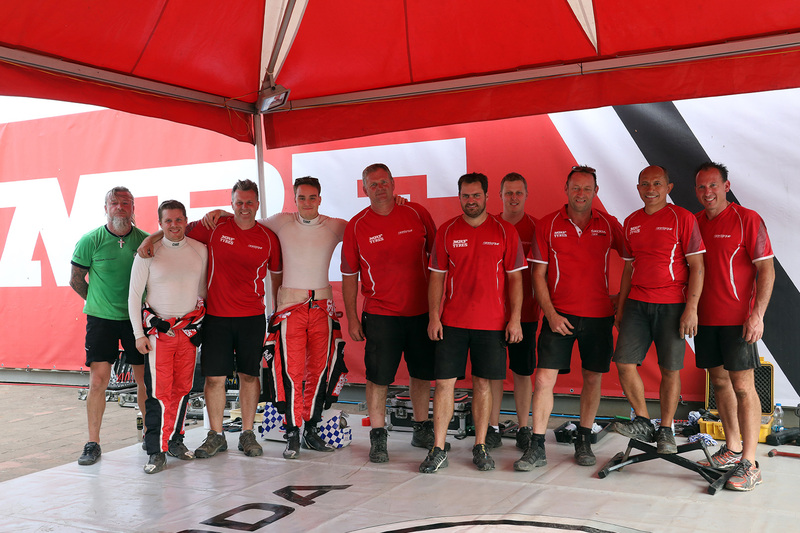 “What a great teamwork, what fantastic mechanics. Now I am on a mission,” said a motivated Veiby. 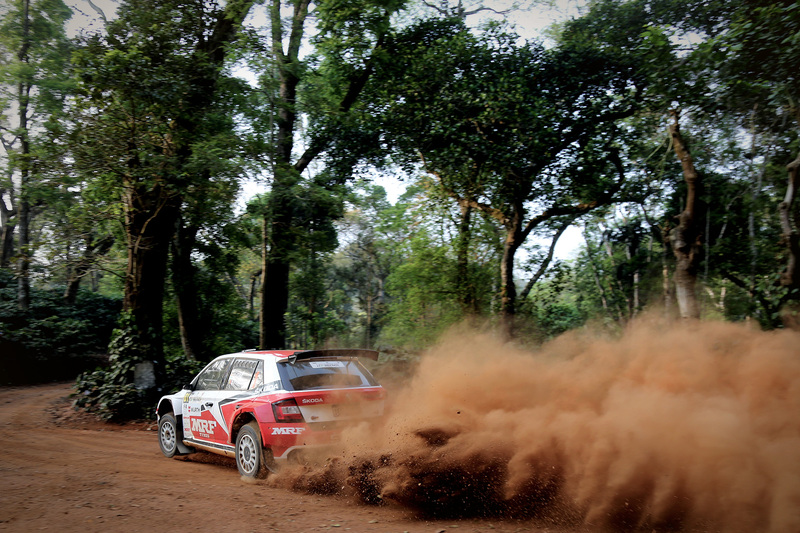 Keeping his word he set eight fastest times in the remaining nine stages, until the finish moving up to second overall. After his teammates bad luck Gaurav Gill built up a clear lead already after the Saturday leg. 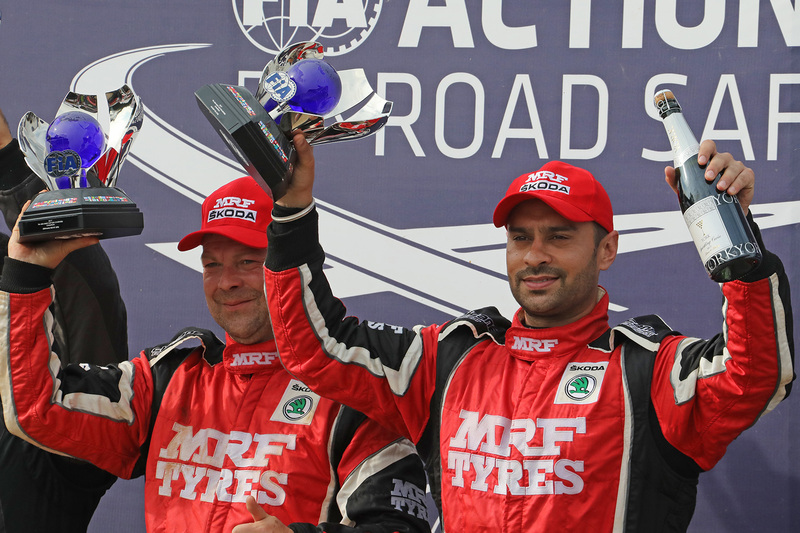 The local hero drove faultlessly on Sunday as well, winning Rally of India and the APRC title for himself and co-driver Stéphane Prévot. “I feel very sorry for Ole Christian, I didn’t want to win like this. 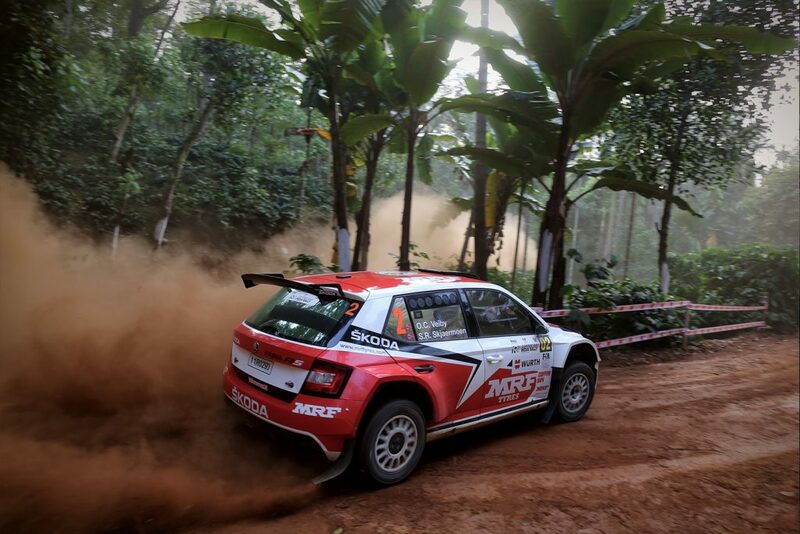 But it was a very difficult and long rally, I had to bring the car home in one peace,” concluded Gill on the podium in Chikmagalur, cheered by enthusiastic fans. “I really would have liked to fight for the title right to the finish line. 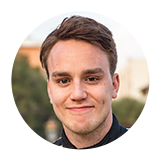 But at least I could set some fastest time on the special stages and learnt a lot during the year,” commented Ole Christian Veiby, who finally finished his first APRC season as championship runner-up. In the prestigious Asian-Pacific regional championship ŠKODA can look back on unparalleled success. 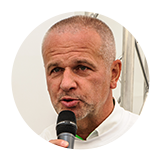 Since 2012 each title winner has competed in a ŠKODA. 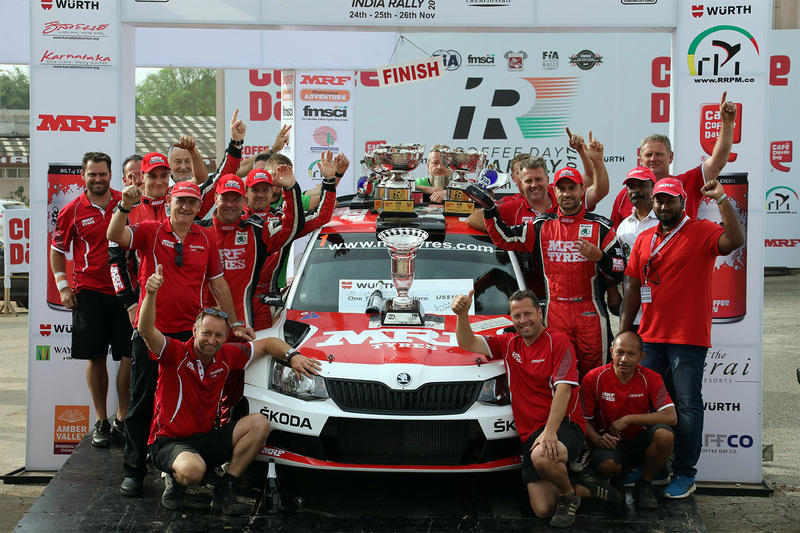 Winning the first three championships with the normally aspirated ŠKODA FABIA S2000, the Czech brand now achieved the hat trick with the most successful rally car in its category, the turbo-powered ŠKODA FABIA R5. 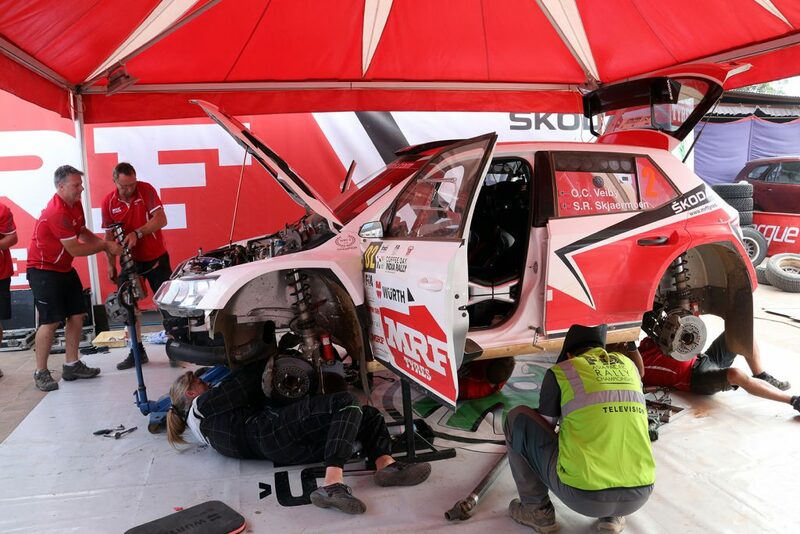 During Saturday midday service the mechanics of Team MRF ŠKODA changed gearbox and clutch on O.C. 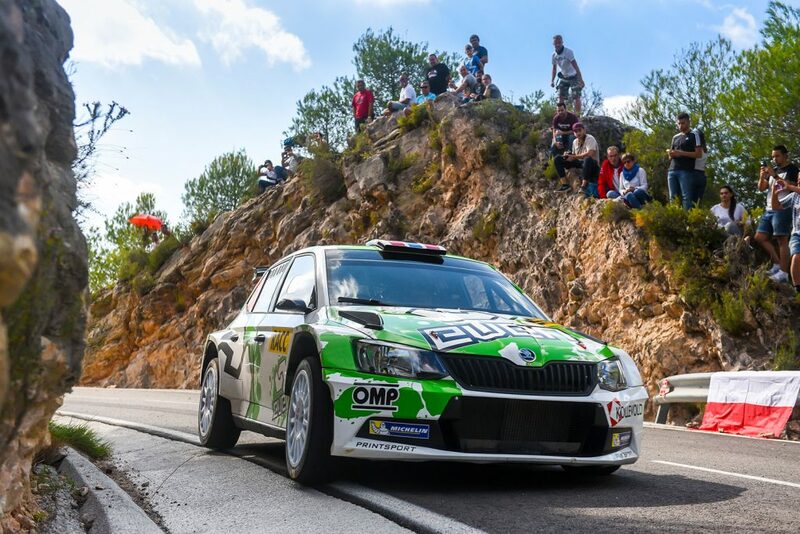 Veiby’s FABIA R5 in roughly 20 minutes.